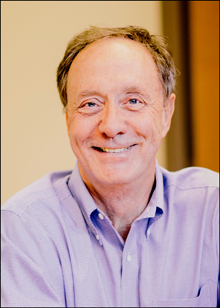 George Painter, PhD, is the Chief Executive Officer of DRIVE, a new not-for-profit company wholly owned by Emory, but with the independence to run like a biotechnology company. Emory University and Drug Innovation Ventures at Emory, LLC (DRIVE) has appointed George Painter, PhD, as chief executive officer of DRIVE and director of the Emory Institute for Drug Development (EIDD). "George is the ideal leader for Emory's new drug development company, DRIVE," says Michael J. Mandl, executive vice president for business and administration at Emory University. "His vast experience will be critical in steering this innovative enterprise that will guide drug candidates more efficiently from discovery to the marketplace." Painter has been a member of the founding management teams of two highly successful biotechnology companies, Triangle Pharmaceuticals, Inc., where he served as executive vice president of R&D, and Chimerix, Inc. (NASDAQ: CMRX), where he served as president and CEO. Triangle was acquired by Gilead Sciences, Inc. in 2002 for $550 million. Chimerix recently became publicly traded and is advancing its lead antiviral compound CMX001 into Phase 3 clinical trials. Prior to entering the biotechnology sector, Painter served as director of chemistry and director of virology at Burroughs Wellcome Co., and after its merger with Glaxo in 1995, became worldwide director of research process and deputy therapeutic head for antiviral research at GlaxoWellcome. "Although many academic drug discovery centers have been established over the past decade," says Painter, "DRIVE is uniquely designed to move early discoveries into the development phase and to provide the special expertise required to do this in a timely and cost efficient manner. "The critical assets and expertise available to DRIVE from the EIDD and Emory, together with an organizational structure optimized for drug and business development and a proven record of success, should place us in a strong position to form research and development alliances with major pharmaceutical companies, venture capitalists and corporate venture groups. Through a shared risk model, DRIVE can offer substantial advantages to companies seeking to move their technology forward without the traditional costs of starting a new biotech enterprise," Painter explains. Painter has published 91 scientific papers and is listed as an inventor or a co-inventor on more than 45 patents, six of which have led to approved, commercially available drugs or combinations of drugs for the treatment of HIV and hepatitis B. He has led international drug development teams that generated data for nine investigational new drug applications and three new drug applications. Painter received a BS degree in chemistry, an MS in physical organic chemistry, and a PhD in synthetic organic chemistry, all from Emory University. He completed post-doctoral work at the California Institute of Technology. DRIVE is a new not-for-profit company wholly owned by Emory, but with the independence to run like a biotechnology company. It will expand the capabilities of traditional academic drug research by combining the expertise of Emory and other university scientists and their success in drug discovery with a highly experienced development, business and management team of industry leaders. The association with Emory will allow DRIVE to effectively move drugs through lead optimization and pre-clinical testing — a stage of drug development often termed the "Valley of Death" — and into proof-of-concept clinical trials. Technologies with added value will be out-licensed to pharmaceutical and biotechnology companies, partnered with foundations or government entities, or spun-out into newly formed companies financed by venture capital firms.